I've checked another one of my 3912 which is connected to my lab V2110 and it looks like because "reasonX" 00000 is added to the SN# that is printed on the AP and box. It would make sense to either print the correct SN# on the box/AP or change the Defender app to support the short SN# that is visible on the box/AP. This will be addressed in upcoming revisions of Defender. 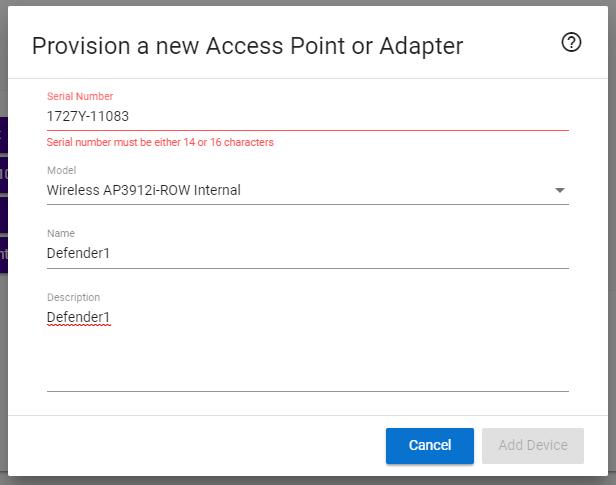 The new requirement for the serial number of Defender AP devices will not require you to add the trailing 0s.